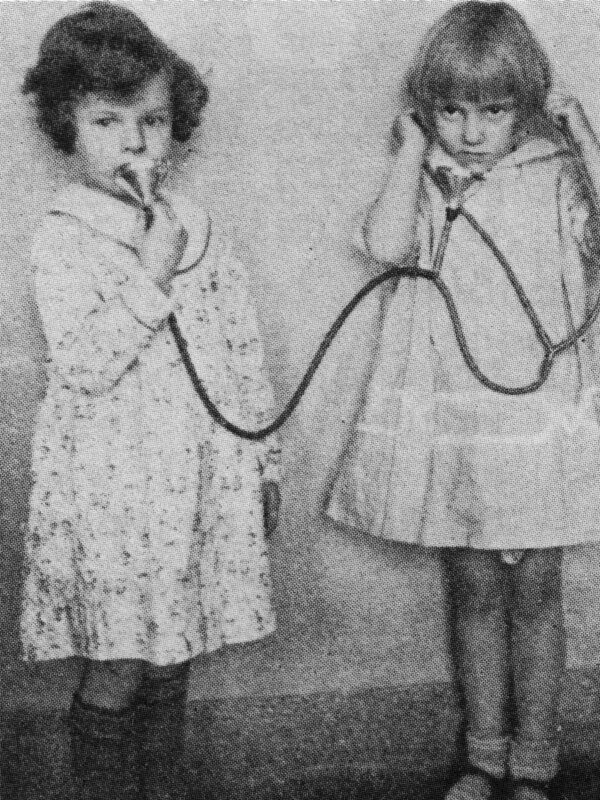 In 1914, Max Aaron Goldstein, MD, a renowned St. Louis ear, nose and throat physician, set out to do what most people believed impossible: teach deaf children to talk. He had earlier received postgraduate medical training in Europe. In Vienna, he met a professor teaching profoundly deaf children to talk using “remnants” of hearing. This experience became the genesis for his dream to convince the world that congenitally deaf children could learn to listen and speak intelligibly. Dr. Goldstein began an aggressive campaign to pursue his dream when he opened Central Institute for the Deaf. His idea was to create a place where doctors and teachers would work together to improve ways to help deaf children. At first, he devoted two rooms of his St. Louis medical office to educating deaf children and training teachers of the deaf. His services included auditory-oral deaf education for children, counseling, a hearing clinic, lipreading instruction and speech correction for children and adults. To his ongoing medical research, he added studies using early devices such as hearing tubes and ear trumpets within a deaf education setting. Leaders from the academic, business and medical communities supported Dr. Goldstein’s dream. The first CID school was completed in 1916. By the late 1920s, CID’s reputation for success had led to burgeoning enrollment and waiting lists. In 1929, a second building was added to house laboratories, school classrooms and dorms. Teachers measured children’s progress in response to new listening devices and educational strategies. Scientists came from throughout the world to study the anatomy of animals’ ears, the science of hearing devices, techniques for diagnosing deafness, psychology and deafness, the sound of deaf children’s voices and related topics. 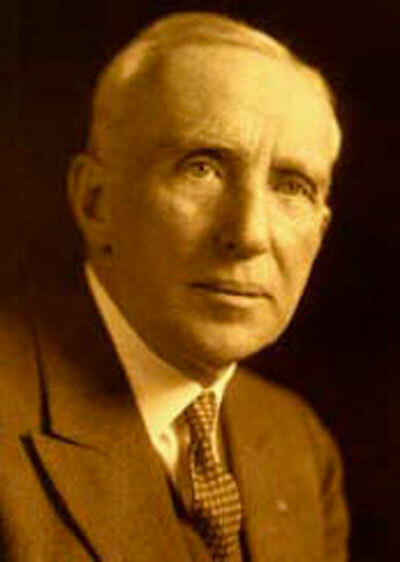 From the beginning, Dr. Goldstein built CID’s reputation by demonstrating the school children’s success at professional conferences for doctors and teachers across the country. He was also a shrewd PR man, with an open-door policy for the press, for example, any time CID trialed a new hearing device in the classroom. Over time, hundreds of articles were written locally and nationally about CID. In 1931, CID’s Teacher Training College affiliated with nearby Washington University, becoming the country’s first deaf education teacher training program to affiliate with a university. By 1947, when S. Richard Silverman, PhD, became director, CID offered graduate programs in deaf education, communication sciences and a new profession, audiology. CID scientists were instrumental in developing this field. CID was a pioneer in the early intervention and education of deaf children. For the first two decades, it was the only school of its kind teaching 3-year-olds. In 1933, CID’s principal, Dr. Helen Schick, proved to the world that deaf children were equally as intelligent as children who could hear. Later in that decade, CID teachers developed the Language Outline, an early model for teaching language, as opposed to just vocabulary, to children who were deaf and hard of hearing. In 1958, CID’s parent-infant program became the first program of its kind and a model for programs throughout the world. In 1981, CID’s landmark EPIC Study proved that highly individualized, ability-grouped auditory-oral deaf education significantly increased the achievement of deaf school children. Since the 1980s, CID educational researchers produced a variety of educational tools, including the TAGS, GAEL, SPINE, CID Phonetic Inventory, ESP and CID SPICE and SPICE for Life auditory learning curricula. Many of these instruments are used in schools across the country and worldwide. In 2000, CID completed a new campus. The state-of-art facilities feature a specially designed “quiet school,” built for children learning speech and spoken language, and state-of-the-art research laboratories in the Harold W. Siebens Hearing Research Center. In 2003, CID entered into an historic agreement to formalize ties with Washington University, its School of Medicine and Department of Otolaryngology–Head and Neck Surgery. Under the terms of the agreement, Washington University School of Medicine assumed ownership and governance of several of CID’s programs, creating CID at Washington University School of Medicine. CID – Central Institute for the Deaf remains separate and financially independent from the University, which continues to operate CID-developed research, adult clinic and graduate education programs on the CID campus on Clayton Avenue in St. Louis, Missouri. At that time, the CID school created a new main entrance around the corner at 825 South Taylor Avenue. Today, Central Institute for the Deaf and CID at Washington University School of Medicine continue a unique combination of education, research and clinical and community service to benefit children and adults who are deaf and hard of hearing. Here, working audiologists, teachers and scientists serve as graduate program faculty and graduate students gain experience in real-world settings, including the CID school. Work continues on the most progressive and promising techniques and technologies. CID school children benefit from a state-of-the-art facilities and from a staff on the leading edge of knowledge in deaf education, pediatric audiology and rehabilitative techniques. For a more in-depth exploration of CID’s fascinating history, order our new CID history book, The Child First: The First 100 Years of CID. Founded CID – Central Institute for the Deaf in 1914 so parents, teachers and scientists/doctors could work together to help deaf children using the most effective methods. CID immediately became a place where the latest technology and methods were developed or employed – and tested. Included within the original CID school the nation’s first teacher training program for aural-oral deaf education. This program evolved into the Program in Audiology and Communication Sciences (PACS), one of a consortium of programs known as CID at Washington University School of Medicine. Using the Simplex Tube and his own invention, the harmonium, he developed a system of testing and graphing hearing acuity before the audiometer was invented. Hired capable and sometimes world-famous individuals from varied scientific disciplines to come to CID to study, collaborate on basic knowledge and practical applications to help ameliorate deafness and teach deaf children to speak. Among them were Dr. Lorente de No, a renowned Spanish neuroanatomist who was the first CID director of research, Dr. C.C. Bunch, a famous physicist and author of one of the first widely used university textbooks on hearing, Drs. Max Meyer and Helen Schick, groundbreaking psychologists, Julia Connery, a pioneer in early education of deaf children who had studied under Alexander Graham Bell, and Mildred McGinnis, who defined congenital aphasia and developed the Association Method for teaching speech.